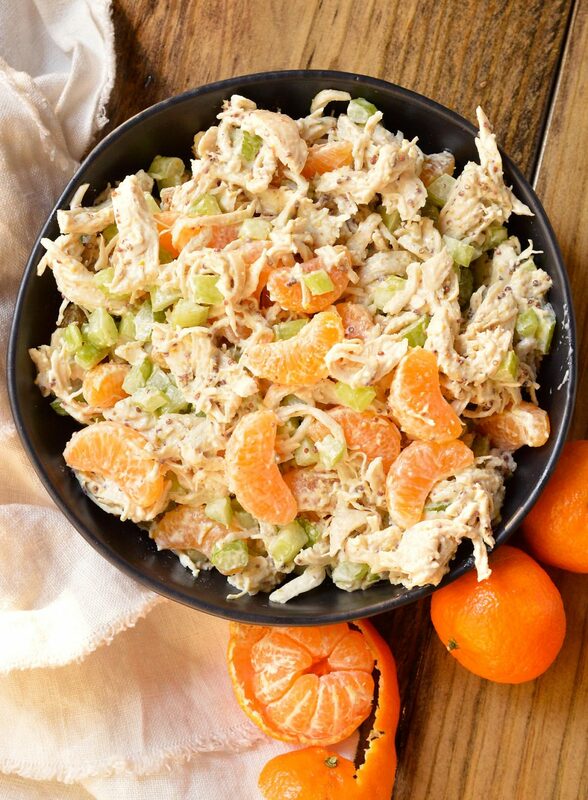 Take a break from boring old chicken salad and make this Mandarin Orange Chicken Salad Recipe. 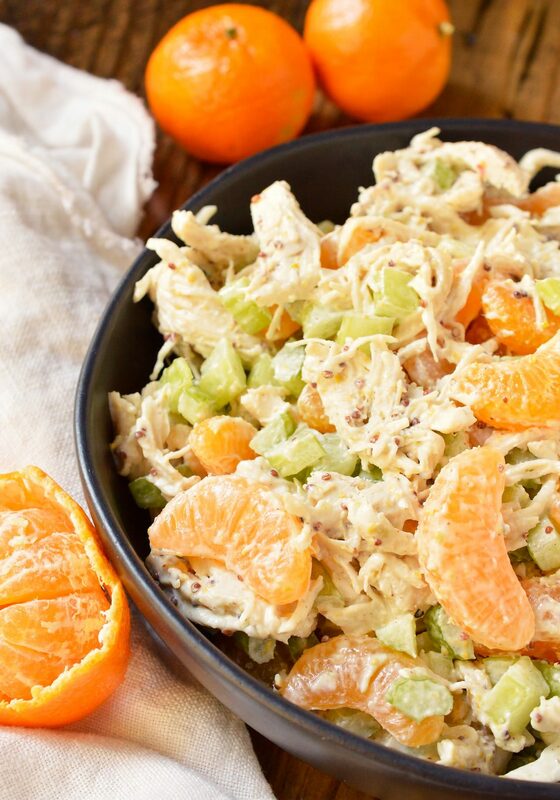 The tangy dijon mustard and sweet mandarin oranges take this chicken salad to the next level! 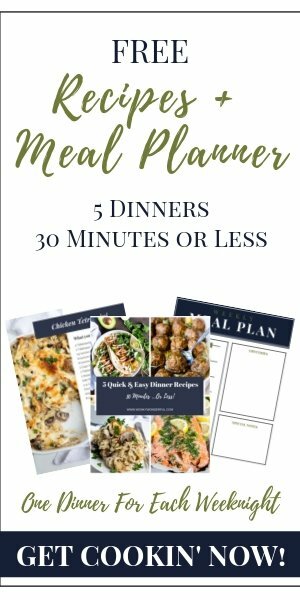 With just 5 ingredients this makes a great nutritious lunch or dinner and can be made into a Whole30 compliant recipe. This post is sponsored by Cuties. This post may contain affiliate links. See my Disclosure Policy for more info. It’s always great when you can make a meal that adults and kids love! 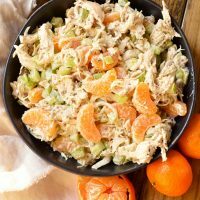 This Mandarin Orange Chicken Salad will be a hit with with everyone because it is so fun and flavorful. Step 1: Roast chicken then let cool, chop or shred chicken. Step 2: Combine chopped chicken, chopped celery, mayo, mustard, salt and pepper. Stir until combine. Add mandarin oranges then gently stir. Combine chopped chicken, chopped celery, mayo, mustard, salt and pepper. Stir until combine. Add mandarin oranges then gently stir. To make this chicken salad Whole30 compliant, use organic free range chicken, compliant or homemade mayo, compliant mustard. My goodness I bet this is a fantastic salad! 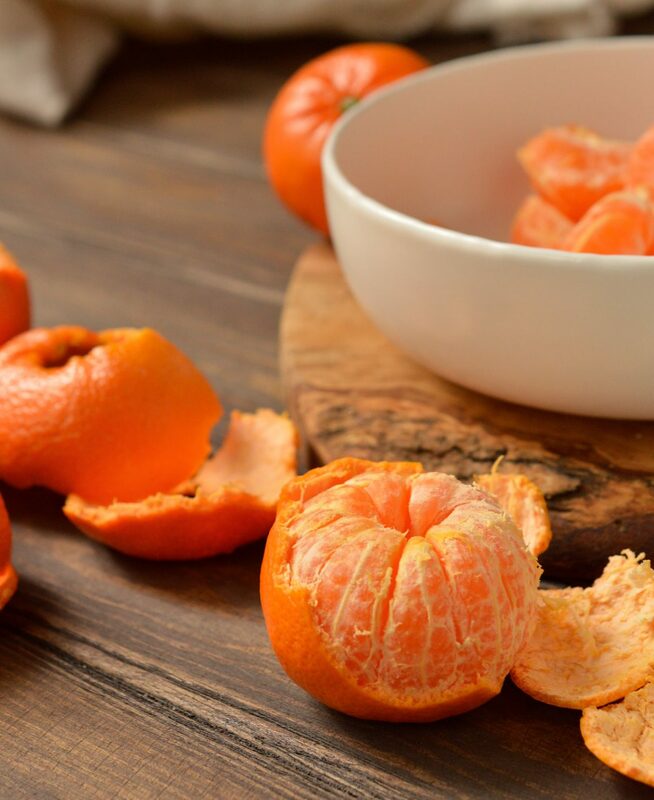 We LOVE cuties and combined in this lovely fresh salad is a brilliant way to enjoy them. Thanks for sharing! Thanks! This is my favorite chicken salad EVER! Oooh, I might try this with my leftover turkey!